The number of charitable donations of £1m or more in the UK reached a new high last year, according to the latest research. 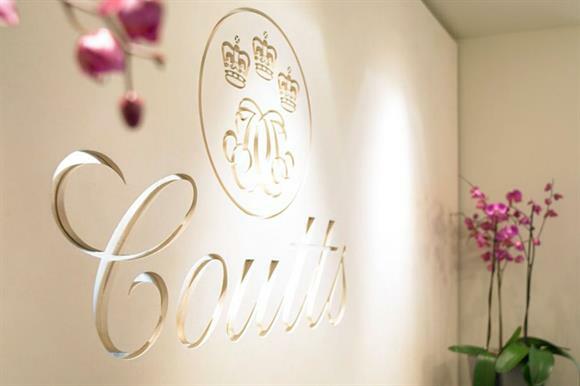 The Coutts Million Pound Donors Report, published today, shows that 355 donations of £1m or more were made in 2015, totalling £1.83bn, compared with 298 donations worth £1.56bn in the previous year. The number and value of donations are the highest since the annual report was first produced in 2008. The report, which has been produced in association with the University of Kent, says the data collected for the report over its nine-year lifespan show that it is a "boom time" for UK philanthropy. It shows the total value of £1m-plus donations has increased in each of the past five years after reaching a low of £1.24bn in 2010/11. The 355 donations of £1m or more that were made in 2015 came from 166 donors, including 35 who appeared to be making such donations for the first time, the report says. It is the first time the total value of donations has been higher than the £1.62bn recorded in the report covering 2006/07, its first edition. The findings form part of the wider Coutts Million Dollar Donors Report, which covers major gifts made in the UK, the US and the countries that make up the Gulf Cooperation Council, including the United Arab Emirates, Saudi Arabia and Qatar. This found 2,197 donations of $1m or more totalling $56bn, or about £45bn, an increase of more than threefold on the $17.4bn, or about £14bn, reported for the same countries in the previous year from 1,396 donations. The largest individual donation included in the UK report is £137.7m given by the Wellcome Trust to the University of Oxford, although this was made in several smaller grants, the report notes. It says 47 donations of £10m or more were made in 2015, compared with 34 in the previous year. The most popular sub-sector to which gifts were made in the UK was higher education, accounting for 35 per cent of the total value of donations, followed by foundations, including family or corporate foundations and donor-advised funds, on 27.4 per cent. Donations to overseas causes accounted for 13.3 per cent of donations, with arts, culture and humanities causes in fourth place on the list, receiving 7.4 per cent of the donations recorded. Beth Breeze, director of the Centre for Philanthropy at the University of Kent and co-author of the report, said: "We now have enough data to talk confidently about this being a ‘boom time’ for UK philanthropy. "Not only are we seeing substantial increases in both the number of million-pound donations and their collective value, we are also seeing greater numbers of first-time million-pound donors, and a bigger pool of charities able to attract multiple mega-donations." She said the findings suggested that efforts to build a stronger culture of philanthropy in the UK had been successful. The main factors in this, Breeze said, included the initiatives that had worked to strengthen the culture of philanthropy in the UK – such as the Giving Campaign, which ran between 2001 and 2004, and the Philanthropy Review, which concluded in 2011 – the individual philanthropists who had been willing to talk about their giving in order to raise awareness and encourage others to do the same, and fundraisers. She said research showed that almost all donations were prompted in some way "because altruistic intentions need to be triggered to turn into action". Other research showed that about two-thirds of rich donors believed the more professional approach of fundraisers had positively affected the development of philanthropy in the UK. "We are used to seeing fundraisers getting a kicking in the press, so I hope we can pause to celebrate the essential work they do to ensure that charities have the funds they need to do their work," Breeze said.